Saransk - the capital of the Republic of Mordovia, founded in 1641. The city is situated on the river Insar. To get to Saransk by train, plane, bus or car. Flights to Saransk fly from three Russian cities - Moscow, Samara and Saratov. The flight makes a company "Mordovia airlines". Planes fly every day, the time in Saransk is about an hour. You can order tickets on the airline's website, or buy at the ticket office of the airport. From Moscow to Saransk is the brand train "Mordovia". He departs from the Kazan station daily at 21:24. Along the way the train makes stops at stations in the Republic of Mordovia - Zubova Polyana, Potma, Torbeyevo, Kovylkino, Kadochkina and Ruzaevka. The train has open carriages, coupes, luxury, and a dining car. In about twelve hours. To reach Saransk and through the station, "Pervomaysk-Gor'kovskiy". There goes the train No. 80. It departs from the Kazan station in 20-48, daily. Arrival at the final station around seven in the morning. 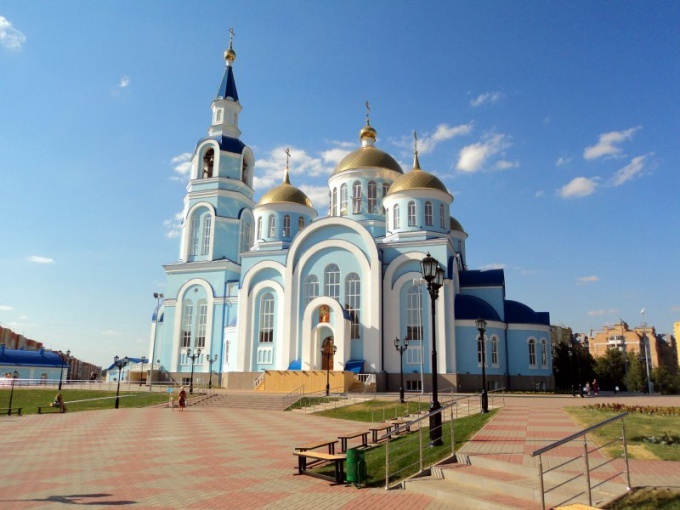 From Pervomaisk through the village of Spruce forests in Saransk travel taxis. Journey time is about three hours. With Central Moscow in Shchelkovo bus station take a bus to Saransk. Departure daily at 07-45. The approximate journey time of twelve hours, excluding the congestion. There is a bus station near the metro station "Schelkovskaya", the Ural street, house 2. Telephone for information: + 7 (495) 468-04-00, + 7 (495) 468-43-70. By car from Moscow to Saransk is most convenient to go on Nosovikhinskoe highway, turning into Nizhny Novgorod route. The road was recently repaired, expanding in the Nizhny Novgorod region to eight lanes. The problem will arise only after Arzamas, there is a two-lane highway and have not repaired. You can reach Saransk and on the Egorievsk highway, but it is more narrow and near the town of Bronnitsy often traffic jams occur. The bus station in Saransk is quite far from the train station, so if you need to transfer to train or bus, count the time in advance.